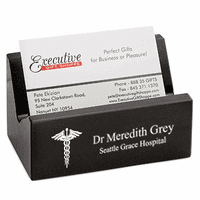 Help your favorite doctor or nurse keep their desk neat and tidy with this desktop business card holders. 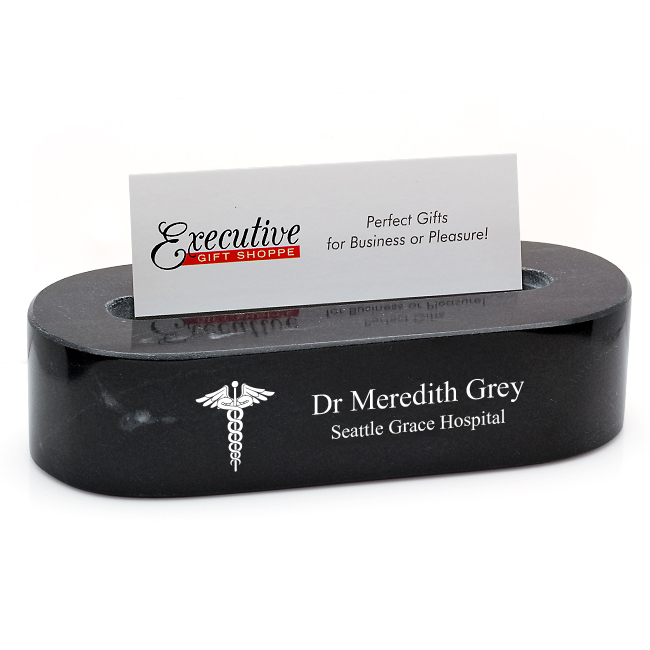 Its made of solid black marble and holds up to twenty five business cards, so they are always available to hand out to patients and vendors. 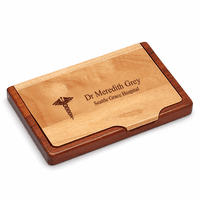 The front face of the holder comes with the medical Caduceus symbol laser engraved into it. 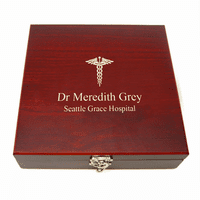 You can add your own personal inscription to the right of the emblem, popular choices include the doctor or nurse's name and title or their name and place of employment. The laser engraving produces a permanent white marking on the business card holder, a stark contrast to the black marble. 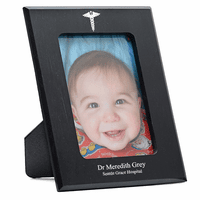 This desktop card holder for doctors and nurses is a thoughtful and functional gift for a coworker or loved one in the medical profession.